Edited transcript of a podcast and video panel presentation from the RSA Conference on bringing security best practices to cloud-based computing models. Listen to the podcast. Find it on iTunes/iPod and Podcast.com. Download the transcript. View the video. Sponsor: Akamai Technologies. Dana Gardner: We're in San Francisco at the RSA Conference to talk about security and cloud computing. I'm Dana Gardner, Principal Analyst at Interarbor Solutions, your host and moderator for today's special sponsored podcast and video presentation. We're going to look at the intersection of cloud computing, security, Internet services, and Internet-based security practices to uncover differences between perceptions and reality. Today's headlines point toward more sophisticated and large-scale and malicious online activities. For some folks, the consensus seems to be that the cloud model and vision are not up to the task when it comes to security. We're going to examine why security concerns count, not only as a risk, but also as an amelioration of risk. We're going to talk about why security is not just part of the cloud -- or part of the enterprise -- but cuts across all aspects of IT. When we think about security, we're not focused on distributed defenses only. We're not talking about the edge only. We need to talk about best practices across all aspects of IT. And so join me in welcoming our panel. Here to look at the reality versus the perception is Chris Hoff, Director of Cloud and Virtualization Solutions at Cisco Systems. Chris Hoff: Thanks, Dana. Great to be here. Gardner: And Jeremiah Grossman, the founder and Chief Technology Officer at WhiteHat Security. Jeremiah Grossman: Thank you very much for having me. Gardner: Andy Ellis, the Chief Security Architect at Akamai Technologies. Andy Ellis: Great to be here, Dana. Gardner: As I mentioned, we're looking at security across a wider spectrum. People have honed in on the cloud and said, "Wow, that can't be secure. I can't put data and applications there and expect it to be mission-critical and reliable. I can't expect people won't be able to get to it if they want to, if they tried hard enough." Is there a gap here between perception and reality, or are we not looking at the problem in the wrong context? Ellis: There's a huge gap in what people think is secure and what people are doing to day in trusting in the security in the cloud. When we look at our customer base, over 90 of the top 100 retailers on the Internet are using our cloud-based solutions to accelerate their applications--and what's more mission-critical than expecting money from your customers? Gardner: So, 12, 15 years ago, people were saying, "I can't use my credit card on the Web. I can't do ecommerce safely. I can't do retail sales." We've seen quite a bit of that. Tell us a little about Akamai and what you do and why that was relevant to the web then, and perhaps is relevant to the cloud now. Ellis: At Akamai we have a network of over 61,000 servers, distributed in about 950 different networks around the world. Our customers use those servers to deliver content, accelerate their applications to their end users, and take advantage of the cloud-based computing inherent in our servers to gain capabilities they wouldn't have otherwise. For instance, recently we added our web application firewall, which permits our customers, just at the click of a button, to have an application firewall running all the way out at the edge of their network. We look at that and say, "This is a great opportunity for our customers to quickly scale, deal with the cloud, and gain those advanced capabilities." People, as you noted, used to say, "Oh, credit cards aren't secure on the Web. I will never do that." At the same time, you saw people using credit cards online. People weren't necessarily as happy about it until they gained a level of comfort. I think that's an area where people are a little resistant to change. We see cloud computing, and everybody jumps to big heavyweight cloud computing, that virtualized servers are out at the edge. There is a whole spectrum of capabilities in between virtualized servers and just delivering some content that people can take advantage of and are doing today. Gardner: Do you think that cloud computing is the problem, the solution, or both to security? Ellis: I don't think it's either the problem or the solution. It's a piece of the solution. It's a piece of the problem. People look at how to secure applications. Sometimes, people get very comfortable with a given security model. They say, "This is how I've done business for the last year. This is how I will secure it." You say, "Well, you could do business in a different fashion." Often, that's driven by a business owner inside a company. They see an opportunity to accelerate their revenues and reduce their cost, but it has to change the model that people think about. I don't see that as a problem of security. I think the bigger problem is that sometimes we're resistant to change. Gardner: Jeremiah, WhiteHat Security takes it upon itself to find what's wrong with the security in certain organizations and you focus on it. First, tell us about WhiteHat and then also tell us what people should be worried about, when it comes to cloud computing. Is this a different problem set when it comes to security? Grossman: WhiteHat Security is in the website vulnerability management business. Our job is to assess the security of a website, as it exists in an operational environment, to get the same point of view that a hacker would if they tried to break in. Our job is to find those vulnerabilities ahead of time and help our customers fix those issues before they become larger problems. And if you look at any security report on the Web right now, as far as security goes, it's a web security world. Bad guys have broken into website after website after website and stolen everything that they possibly can. Our our job is to help stop that and measure the security of the web. Gardner: What's different about cloud computing? As people look to do more applications and infrastructure in the cloud, should they be thinking about the same level of security that they would with their website -- or is this a different problem? Grossman: An interesting paradigm shift is happening. When you look at website attacks, things haven't changed much. An application that exists in the enterprise is the same application that exists in the cloud. For us, when we are attacking websites and assessing their security, it doesn't really matter what infrastructure it's actually on. We break into it just as same as everything else. What's different among our customer base is that they can't run to their comfort zone. They can't run to secure their enterprise with firewalls, intrusion detection systems, and encryption. They have to focus on the application. That's what's really different about cloud, when it comes to web security. You have to focus on the apps, because you have nothing else to go on. Gardner: Chris Hoff, not only are you active in cloud solutions at Cisco, but you are a founding member of the Cloud Security Alliance (CSA). So, this is something you have been focused on. When we look at cloud services, we're talking about the livelihood of the cloud provider. If they don't do security well, they're not going to last very long. Is there a different level of competency, a higher bar, for a cloud provider than for a typical enterprise? And is that part of the solution? Hoff: That's an interesting question, because in many cases we use the term cloud and cloud computin g synonymously. Depending upon the conversation you're having, cloud computing could be a noun, a verb, or an adjective. Why that's important is that there is no such thing as the cloud. There's not a single thing to which you could point to suggest that there is a common implementation and deployment model for cloud computing, which is an operational model, not a technology. The reason that's important to your point is that, when you look at a cloud provider, they could be in the business of providing software-as-a-service (SaaS), which, in many cases, has emerged from plain old web apps that don't have many of the technical characteristics that one would associate with cloud computing -- elasticity, dynamism, self-service. They are just Internet connected web apps, SaaS. But then, there's a new generation of SaaS that's actually based on a lot of this flexible infrastructure that powers these very dynamic environments. In that case, where a vendor who is a SaaS supplier manages the entire stack infrastructure, applications, and content, we have over time come to put a great deal of trust in the sanctity of the operations security, confidentiality, integrity, and availability of those services. There's not a whole lot new in that business. For example, if you're trusting your sales figures context, and you have for years, that provider, whether they're cloud-based or not, has a particular set of service level agreements (SLAs) that they strive to hit, regardless of whether they brand themselves cloud or not. The further down the stack you go, to platform and infrastructure-as-a-service (IaaS) providers, in many cases, those providers are in the business of maximizing availability, and give you the most robust, scalable, high performance, and available set of resources. But, confidentiality and integrity, the applications and data that Andy and Jeremiah were speaking to, are really still the responsibility of the business owner. Gardner: I want to focus on this notion of things being done differently now with cloud computing and its various permutations. You alluded to this as well, Andy, in terms of a paradigm shift. Now, they have to tackle a really sticky wicket. Do you have a safe application wherever it lives? As I understand it, if you're a SaaS provider, you have full control over the entire stack and you can control and manage security appropriately. If you're an enterprise, similarly, you have complete control over what happens inside your firewall, you can manage your perimeter. But now we're talking about cloud computing as a hybrid, where some aspects of what you are doing may be on-premises and other aspects might be on a single provider or a variety, and the network is the go-between. What’s different now, Andy, about managing this from a security perspective? Who is in charge? Who can be in a governance role to oversee that spectrum across such a hybrid affair? Ellis: Ultimately, the data owner, the business who is actually using whatever the compute cycles are. As Chris alluded to, it used to be that people would fall back on certain types of security to deal with their issues. Jeremiah also alluded to that as well. That’s the challenge for people who are moving out to the cloud. That area may be in the purview of the provider. While they may trust the provider, and the provider has done the best they can do in that arena, when they still see risks, they can no longer say, "I'll just put in a firewall. I'll just do this." Now, they have to tackle a really sticky wicket. Do you have a safe application wherever it lives? That’s where people run into a challenge: "It’s cloud. Let me make the provider responsible." But, at the end of day, the overall risk structure is still the responsibility of the business. Gardner: At WhiteHat, if you were to look at the application, would you be able to go back and say to the service provider, "Listen, you don’t want to let that application in, because it hasn’t been architected properly." Do you think that the providers of cloud services need to be taking a governance role in deciding what applications should or shouldn’t be allowed to live in their environments, too? Gardner: Chris, are we talking about more of a higher level of complexity, the complexity being how you secure a cloud-based activity versus on-premises activity? Is that complexity something that plays into risk, and therefore people should be more concerned about cloud-based activities? Are we getting ahead of ourselves? Hoff: Going back to the statement I made about getting wrapped around the axle, what’s been interesting over the last year is that we as an industry, or just in general, have been so focused on what is cloud computing that we have forgotten the more important point, which is, how can we use cloud computing? You alluded to a hybrid model -- on-premises, off-premises, enterprise, self-governance of controls, at the perimeter or the edge, and then outsourcing things with hosting and collocation and SaaS. The last time I checked, we have been doing that for about 10, 15 years, probably more. Cloud computing has become a fantastic forcing function, because what its done to the business and to IT. To your question, the complexity has come about when we've tried to adapt new or relevant advances in technology and associate them in some sort of branding. I like to say that if your security stinks before you move to the cloud, you will be pleasantly unsurprised by change, because it’s not going to get any better -- or probably not even necessarily any worse -- when you move to cloud computing. It's important to really take a look at what you already do, in terms of practices; extranets, how you integrate business partners, and the hybrid model of access -- the blurring, with consumerization of IT. "Is this a work device, is this a home device?" Where do I access it from, how am I using the information? Cloud computing has become a fantastic forcing function, because what its done to the business and to IT. We talked about paradigm shifts and how important this is in the overall advancement of computing. Gardner: It sounds as if the emphasis on security is being elevated. We used to look at securing components or parts, or maybe a stack -- if we were really good. Now, we're talking about securing a process. We're looking at security from a different vantage point and elevation. That might be a good thing. That might give us better security, because we are thinking about it as a function of a cloud-based activity. Does that make sense, Andy? Ellis: Absolutely. There's a great initiative going on right now called CloudAudit, which is aimed at helping people think through this security of a process and how you share controls between two disparate entities, so we can make those decisions at a higher level. Gardner: So, we're here at RSA, perhaps the premier security show. We've been talking about a lot of interesting things this week. One of the things that jumped out at me was an announcement from the CSA that prodded enterprises to be thinking differently about security. One of the things that really grabbed me was to help secure other forms of computing, being cloud-based in your security emphasis. How does that work? How is it that you can focus on cloud-based security and have it trickle down, if you will, and make you more secure across all of your IT activities? Hoff: As I alluded to previously, cloud computing, depending on who you talk to, encompasses almost everything; your kitchen blender, any element that you happen to connect to your enterprise and your home life. There are really two views, when it comes to defining cloud computing, as it relates to your question. There is the technician and the clinician’s view, which is very empirical, has lots of layer, stacked models, things that IT professionals can relate to in ways that allow us to break things down and be very analytical. They have delivery models, service models, and essential characteristics. It's a great thing to sit there and debate on Twitter. What’s really interesting is the juxtaposition of the consumers' view, which basically and simply stated says that anything that connects to the Internet on any device that interacts with my information of data in any way is also cloud computing. So, you look at those two things, you juxtapose, and you are not going to tell a your customer that they're wrong. You could try. It’s like jousting with windmills. But trying to reconcile those two things is very important, because, when we think about the opportunities here, the reality is that cloud computing offers us a tremendous set of benefits from the perspective of flexibility and agility. In some cases there are cost savings. Sometimes, it might cost more. That is just diametrically opposed. Anything with the word dynamism in it, that’s dynamic, doesn’t compute quite literally, as it relates to how we think about security today. So, what’s happening ultimately is an adjustment on focusing in on the information. Regardless of how I use the information, cloud computing, could secure other forms. Take your smartphone, for example. You think of that now as an amazingly rich and capable platform for a computing experience, which it is. Is that cloud computing? In many cases, people would say, yes, absolutely. Consumers could care less whether it's running on a blade server, distributed in 1,000 countries, or in outer space. What they care is that the services are available. We focus a lot on the backside -- moving parts of data centers, IaaS, and we get wrapped around the axle on how it's important to IT. Consumers could care less whether it's running on a blade server, distributed in 1,000 countries, or in outer space. What they care is that the services are available. Gardner: So the expectation of the consumer is perhaps the starting point and you need to back up from there. The consumer’s expectation has been, "I want to be able to do everything I can possibly do on this mobile device, no matter where I am, and I don’t care what's between me and that application, that's somebody else’s problem." Here we are on the IT side, thinking, "Now we have to adapt to that." Jeremiah, is there going to be a market advantage for companies that accept as their reality and their vision? Do we need to look at security through a different lens, to look at cloud computing as the future, recognize the expectations of the consumer and the business and channel partners that we deal with? If we do that right, are we going to be able to leapfrog our competition? Gardner: Trust is a very important business advantage. We've seen that in the auto industry to a disadvantage recently. If you are in the Internet services side of things, trust is going to be perhaps assimilated with your brand for better or worse. Andy, what should our audience know about cloud-based security solutions in order for them to take advantage of these, but without being subjected to the risk? Gardner: Let's get to the heart of the matter here. What is it that really should concern people, risk-wise, about moving to a cloud model? What is it technically that is different? And, if it's not technical, what is it about this paradigm shift of doing things differently that needs to engender some kind of a change? What is it that we are facing? As an industry, the security industry, we come about with novel and interesting ways every once in a while. Sometimes they're big, sometimes small, revolutionary/evolutionary, incremental ways to solve some of these problems. As we're forced into these new models, we will continue to do so. Businesses have the challenge of what this means to their staff -- how they transfer things and interact with legal and HR and their contractors. Some of it you've still got to build in, and some of it you use RFP and contracting. That’s an interesting dynamic that has been moved more and more to a model where you are distributing your applications and content. Gardner: Is it fair to say that a security problem is fundamentally a management and organizational problem? From a cloud computing standpoint, all the attacks are largely the same, whether one application is here or in the cloud. Hoff: It ought to be treated or thought about that way. Part of the problem is that we don’t. We, as an industry, and in many cases those that are responsible for what they think is securing assets, immediately drop down into kind of a realm of technology. It becomes a discussion about tools, and that’s problematic, because for the business, the consumer, it's a different language. They don’t care. They just want to know that their information is safe. Gardner: Jeremiah at WhiteHat Security, let's put on a black hat for a minute. Say you're a bad guy. Maybe you're a foreign organization, military, or government, or competitor. You want to get inside. You want to find out what's going on or steal some intellectual property. Maybe you want to get access to some email. People are doing cloud-based activities. Where are you going to go to look for those cracks, those weaknesses? Grossman: Fortunately or unfortunately, from a cloud computing standpoint, all the attacks are largely the same, whether one application is here or in the cloud. You attack it directly, and all the methodologies to attack a website are the same. You have things like cross-site scripting, SQL injection, cross-site request forgery. They are all the same. That’s one way to access the data that you are after. That’s the interesting thing from a black hat perspective. They can't see you. When it's in a cloud operating model, they lose visibility. There are no intrusion detection systems. You really don’t know who accessed your data and, when there is no visibility, even though they think they deleted their data, they really didn’t. There is a great big undelete button in a lot of these systems. That’s what we're looking at. Gardner: If we look at that now not through not a technical lens, but that organizational and management lens, when you're probing around as a bad guy, what's going to make it likely that you are going to find what you want? Is that going to be a lapse of best practices, or is it technology, both? How do you protect yourself? Grossman: It's going to be that visibility question. It's how can the provider tell you or inform you when things change? What the security posture is of the organization? When somebody accesses my hosted email account, can you tell me when? Or even on the insider threat side, can they tell you how many people have access to your data in their organization; because they are just at risk to comprise on their desktops as you are. So those are all going to be very important questions to get visibility, not only at the point in time, but all the time. Gardner: Andy Ellis, as a network services provider at Akamai, what is that you can do or perhaps take on a different role so that you can look out for your customers in such a way that those cracks, those weaknesses, are less likely? Ellis: A lot of what we try to do is build a wrapper in a sandbox around each customer to give them the same, consistent level of security. A big challenge in the enterprise model is that for every application that you stand up, you have to build that security stack from the ground up. Gardner: Some of the thinking out there, as I observe, is around the idea that this data is stuff I can put in the cloud, because it's not that important to me, but that is very sensitive data, and I am going to keep that on-premises. Is that the wrong way to look at things? Ellis: I often think it is, because sometimes that shows people aren’t thinking about it in-depth. As we noted earlier, a large fraction of the Internet retailers are using cloud for their most mission-critical things, their financial data, coming through every time somebody buys something. Gardner: We maybe break it up between transactions and data when we should be thinking about securing it generally? Gardner: James Fallows, in a recent Atlantic magazine, points out that many security experts like yourselves, expect the equivalent of a 9/11 in terms of cyber security. Should there be such a breach that creates some sort of a reckoning or rethinking, will people gravitate toward cloud for security or away from it, in your opinion, Chris? Hoff: I was asked actually to comment on that article. I wondered if the author has actually read the Verizon Breach Report, because there are mini 9/11s every single day. Everyone likes to talk about catastrophe, Armageddon, and apocalypse. It's fun. It creates headlines. We have seen the emergence of everything, as Jeremiah pointed out, from nation, state-sponsored espionage, laded with political intrigue and geopolitical overtones. Is that not important? Is that not a 9/11? How do you measure the impact? Is that death? Is it millions of pieces of personal information released? Is it millions of credit cards? Because if it's any of those, that happens everyday. Will there be a single event? Perhaps. Will it do much to change people moving to or from cloud computing? Probably not. Gardner: Let’s say it's something that really grabs the attention or the imagination of the general public? Hoff: Will there be a single event? Perhaps. Will it do much to change people moving to or from cloud computing? Probably not. What are you going to move to or back to? Depending upon your definition of cloud computing, you probably are engaged in many different variations of it and I can't fathom the economic cost of what it would mean to abandon an entire computing model. What it might do is drive awareness. We're actually doing a very good job, especially given the innovation shown typically by the U.S. government, which in many cases you don’t think of as an early adopter, pushing the boundaries, pushing the thought processes, where a mistake, as it relates to security and information, could mean death. It could mean the comprise of national security. If they're looking at the model, working backward from the worst sets of outcomes, and thinking about how, when applying risk, they should or shouldn’t move things, then the notion that translates back to the rest of the community. We're talking about how we secure a paradigm closer to its arrival on the scene than we ever have in any other model. We're much better prepared to deal with and solve some of these problems than we ever have been before. So, I don’t believe that we will suffer a catastrophe that will cause people to completely abandon cloud. I think that’s ludicrous. Gardner: Jeremiah, do you think that this notion of an awareness-event of some kind will change perceptions, or do you think that if it's good enough for the U.S. government and military, it should be good enough for corporate 2000 businesses and therefore it is going to continue to be good enough? Grossman: That's an interesting question. I don't think there is going to be a singular cyber event that's going to cause massive physical world destruction and loss of life. I am not a believer on that one. If that were to occur, it would probably be a precursor to actual war. A computer and cyber attack is just a weapon. There would have to be something that goes along with it. It's not to say that security events or lapses in application security or application quality haven't caused loss of life before. Mistakes and bugs have done that, but from an organized crime standpoint, there is no money in that. They're not looking to down systems and lose control. They want control. They want visibility. They want it to stay up. They even want us to make money, because they will capture some of it. Gardner: More of a parasite than an attack, right? Gardner: The host needs to be well enough for the parasite to survive? Grossman: They will grab as much as they can, but they are not looking to destroy the system. Even nation- and state-sponsored activities want command and control, they don't want destruction, at least not initially. Every day there are attacks and every day there are challenges and every day people face them. That's a great sign. Gardner: So, this notion of moderate risk, managed risk, acceptable risk ... Andy, are we there and will we continue to be there, and will cloud computing allow for that risk to be always an acceptable risk? Ellis: In some cases, we are there, and in some cases, we are not. We're moving and we're definitely getting better. As Chris noted, cloud computing changes the model for people and, in some ways, it forces them to think differently. That helps them look at what they're doing today. Maybe we were accepting risk that was unacceptable before, and cloud computing just opens our eyes to that level of risk, and we say, "Let's do something a little different." As for the question of that giant event that will change the way we think about risk? I often think that's wishful thinking, as macabre as that may sound, on the part of people who have had a hard time getting others to look at risk differently. They sort of hope that maybe people will change their mind if something really bad happens. But, the reality is that we can't wait for that, and in fact, we don't want that to happen. It's our job to make that harder for an adversary to do. We don't want that and we don't want to wait for that to change people's minds. It's our job as a community to help people grow and to help them manage the risks that are appropriate to them, in appropriate fashion. Gardner: So, where to get started? If you're thinking about security differently, if you recognize that the cloud is here to stay, that it has significant productivity benefits to you as an organization, that your end users, your consumers, are expecting this, and that their expectations are actually increasing rather than decreasing around what the cloud can provide, where do you begin? How do you change in order to keep up with this risk? Gardner: Jeremiah, same question. Where do you start? How do you get the right balance and keep it? Grossman: Andy is absolutely right. You have to understand your business and where the value is. One of the things to look at is what assets you hold. What is it worth to you? And, you begin from there. How do we take risks that are neither fully acceptable nor fully unacceptable, and how do we manage them in a fashion to make them one or the other? What's interesting about security spending versus infrastructure spending or just general IT spending is that it seems security is diametrically opposed to the business. We spend the most money on applications and our data, but the least amount of security risk spend. We spend the least on infrastructure relative to applications, but that's where we spend the most of our security dollars. So you seem to be diametrically opposed. Gardner: Cloud computing forces you to consider security from soup to nuts, from the beginning, the middle, and an ongoing value for your business, not just your IT. Gardner: Interesting. So. the question also to you, Chris, where do you get started? How do you keep risk managed and keep it there? Hoff: Cloud computing ultimately is about gracefully giving up control. Control is not the same thing as trust, and is not the same thing as security, in terms of definition. When you look at the notion of trust, which is really what we talk about when we talk about any situation where you don't have ultimate ownership, or you don't have the ability to point to a particular location and say, that's where my app and data lives, trust is really made up of security, control, compliance, and service levels. One things that we haven't brought up here, but that I think is critical, is that in many cases, when you basically give up control and you have the ability to enable self-service, the business has a capability to not even have to talk to you, if you are in security. They can take your credit card, they can run and pull up a web browser, and they can go instantiate potentially hundreds of images on a public-facing cloud provider, using a shared image that doesn't use any of your security controls, never been vetted, was uploaded as a community service by somebody, and start instantiating your data on applications they had built or that they downloaded from somewhere, and you would never know. So, the point here from where you get started, is that, when you talk about knowing your business, what that means is understanding whether you are a barrier to their ability to actually conduct business. Were you to tell them, "No, you can't use cloud computing," first of all, how would you stop them and how would you know? Getting engaged from a business and organizational perspective is very critical. Cloud computing is not a destination. It's another tick along the time axis. The way that I've seen success start to propagate its way through a company is when the CEO picks up The Wall Street Journal and says, "Oh, cloud computing. Andy, make that happen tomorrow. Why aren't we doing this? Everybody else is. Saves us money. It's green. It's whatever." This really gains a shared understanding of what cloud computing is. The CSA guidance is fantastic. I've been in meetings with product managers, application architects, the development staff, the CIO, the CTO, and, believe it or not, business unit leaders, who say, "We're thinking about this cloud thing. What do we do? What does this mean to us? Anybody knows the pragmatic discussions of what they do today, how they do it, whether they think it's moving, what kinds of data, what kind of apps? And here is the risk. Do you have a risk assessment framework? Yes, we do. Great, use it." Look at the guidance and understand what this means. Quite honestly, the end message in these briefings that I have with these customers is that cloud computing is not a destination. It's another tick along the time axis. We think we are going to arrive at some point where we just stop, where cloud computing and whatever we have today is the end. It's simply not going to happen that way. One of the things I like to draw attention to is that I try to time things and discussions in business terms, value terms, about three or four years ahead of the curve. We try to have discussions about where things are headed. In my keynote at the CSA, I was asked to talk about the future of cloud, and I thought it was kind of absurd since we are barely in the present. But, what I talked about was the notion that where we are massively recentralizing data and applications in these very huge mega data centers and cloud providers, we are at the same time massively decentralizing applications and content on smartphone platforms, on Netbooks, on things like new iPad delivery devices. You have two completely different security models you have to deal with. If folks don't understand that what's important again is the information or the content and how that affects the business, they're not going to be able to make rational decisions. Security won't make rational decisions. We'll end up in a car crash, and ultimately, the arbiter of all of this, the thing we haven't talked about yet, is compliance. So, if the regulators don't understand, if the auditors don't understand it, as much as you might do a good job and be able to use cloud computing to your benefit, when they come in to do an audit and they don't understand the business value in what you have done, you can't show them you understand it ... game over. That's a huge issue for us right now. We're measured not on security and how well we do security, but how we comply to standards, because we haven't done well in security, and that's fundamentally changing. Gardner: Perhaps a distillation of that is to know yourself, and know yourself the way you're going to be tomorrow, because you are going to change and the world around you is going to change. Gardner: Very good. We've been talking about cloud computing and security. We're here at the RSA Conference in San Francisco. I would like to thank our panelists; Chris Hoff, director of Cloud and Virtualization Solutions at Cisco Systems. Gardner: I appreciate your input. We have also been joined by Jeremiah Grossman. 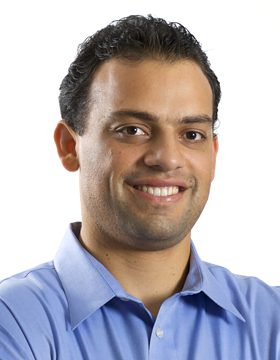 He is the founder and Chief Technology Officer at WhiteHat Security. Grossman: Thank you very much for having me. Gardner: Thank you. And also Andy Ellis, the Chief Security Architect at Akamai Technologies. Gardner: I'm Dana Gardner, Principal Analyst at Interarbor Solutions. Thanks for joining this special sponsored video podcast. Come back next time for more information on cloud computing. Edited transcript of a podcast and video panel presentation from the RSA Conference on bringing security best practices to cloud-based computing models. Copyright Interarbor Solutions, LLC, 2005-2010. All rights reserved.